Over the years, SNEC has been the rallying force behind the National Eye Care Day, an annual community event with the participation of many of the eye departments of hospitals in Singapore, to promote eye health awareness by conducting eye care talks and free eye screenings for the needy, the elderly and children. During the one-day event organised by the SNEC since 2000, the public can sign up for eye screenings and learn more about eye care through talks, interactive displays, poster exhibitions, video screenings, quizzes and games. More than 35,000 people have been screened for the past 17 years. 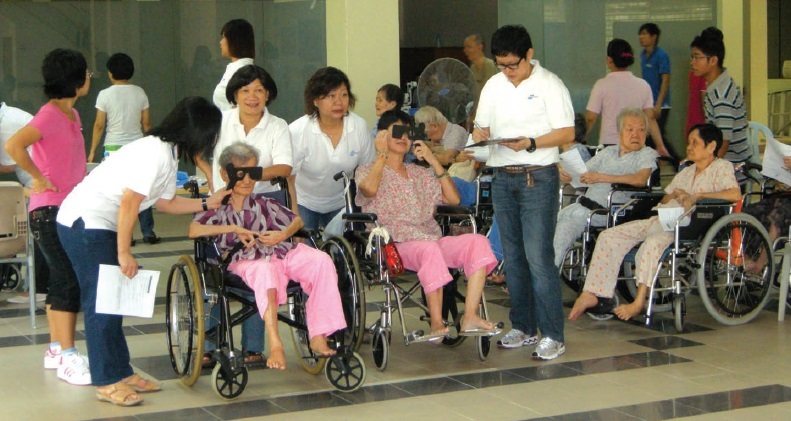 In addition, SNEC also brings eye care into the community by partnering with the Lions Clubs, Diabetic Society of Singapore, Singapore Society of Ophthalmology, community centres and grassroots organisations to conduct community eye screenings for common eye conditions such as cataracts, glaucoma and diabetic retinopathy that affect the elderly. 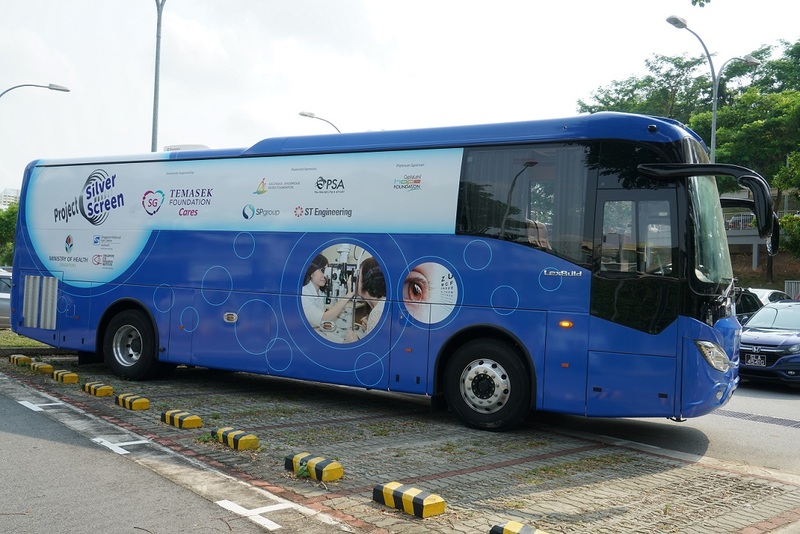 More recently, SNEC partners Temasek Foundation Cares and the Ministry of Health (MOH) Singapore to bring eye screening to seniors via the VisionSave Mobile Eye Bus. Visual impairment (VI) is a major public health concern that places a heavy burden on an individual and the society. Our recent research has shown this burden to be three times higher in older Singaporeans compared to middle-aged adults. An individual’s residential area and socioeconomic status are also revealed to be important determinants of VI. Many seniors are unable or unwilling to seek medical attention due to frailty, immobility, and lack of social support and money, among other reasons. 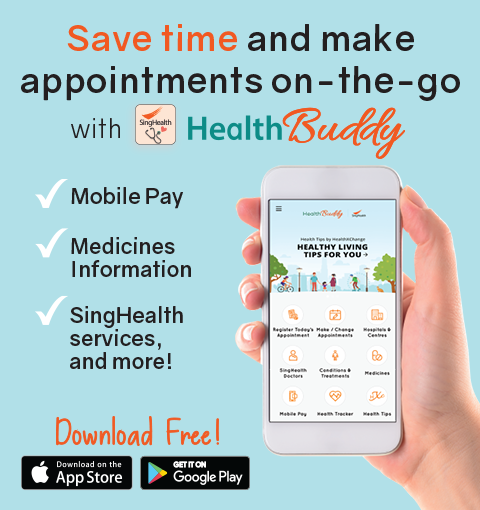 The MOH and Health Promotion Board (HPB) have rolled out a functional screening programme — check-ups to detect age-related decline of a person’s functional ability — across the island. 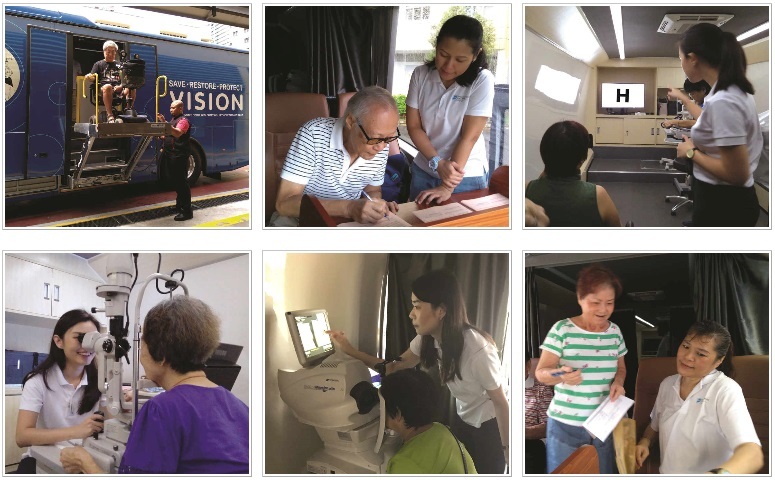 With sponsorships from Temasek Foundation Cares, Ascendas-Singbridge Gives Foundation, PSA Corporation Ltd, SP Group, ST Engineering, and CapitaLand Hope Foundation, the MEB has taken on the needed follow-up from basic eye screening, bringing this service directly into the heartlands. Eye screening on board the MEB encompasses checking of far vision, slit lamp examination, testing of eye pressure, and more. The elderly are also screened for five common eye conditions, namely cataract, glaucoma, macular degeneration, diabetic retinopathy, and refractive errors. As at end July 2018, 228 seniors have been screened, and 113 people have been referred for further consultation and treatment. To bring greater benefit to seniors, we welcome collaboration opportunities to organise grassroots or community screening. Interested parties may email to visionsave@snec.com.sg.